Harriet, Jack, and Toby are treasure hunters, searching the Minecraft world for its most valuable hidden secrets. In an abandoned mineshaft, they discovered a lost journal that once belonged to William, a legendary explorer who has gone missing. The first journal took them on a daring adventure to a secret temple deep in the desert. Now they have the second journal, and they're more determined than ever to find the missing explorer. The treasure hunters build a portal and travel to the Nether. Even with the help of the second journal detailing survival strategies for the dangerous biome, the gang is in trouble when they realize two sinister treasure hunters, Valentino and Veronica, are trailing them. Will they make it out alive, or are they in over their heads this time? 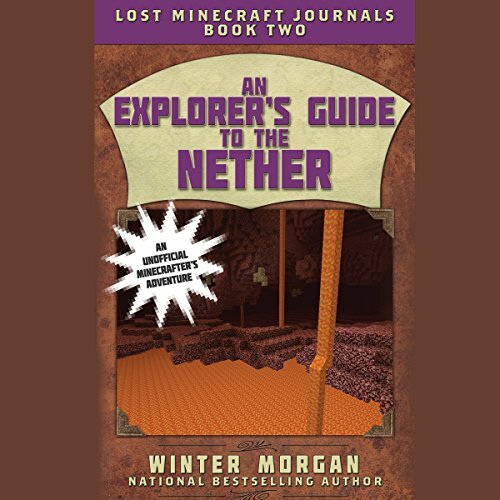 This is the second book in the new Lost Minecraft Journals series. The chapters of each book alternate between the journal entries (William's story) and the story of the treasure hunters. Fans of Minecraft won't want to miss this wild new adventure. Sky Pony Press, with our Good Books, Racehorse, and Arcade imprints, is proud to publish a broad range of books for young readers - picture books for small children, chapter books, books for middle grade readers, and novels for young adults. Our list includes best sellers for children who love to play Minecraft; stories told with LEGO bricks; books that teach lessons about tolerance, patience, and the environment, and much more. While not every title we publish becomes a New York Times best seller or a national best seller, we are committed to books on subjects that are sometimes overlooked and to authors whose work might not otherwise find a home.